FREE BONUS TUBE, Scrap Kit & New Packs From Jasmine Becket-Griffith! We have 2 new packs from Jasmine Becket-Griffith released today with a beautiful FREE BONUS TUBE offer too!! And there’s also a matching scrap kit from Creative Candy Obsessions too!! So from now until 31st December 10pm PST just spend $10 or more (AFTER any discounts) on any Jasmine Becket-Griffith tubes and we will email you your free Jasmine Becket-Griffith bonus tube automatically during CDO business hours, you do not need to email in for it! Free Bonus Tube & New Goodies From Amy Matthews! We have 2 new packs from Amy Matthews released today with a gorgeous FREE BONUS TUBE offer too!! And there’s also 2 matching scrap kits from Ladyhawwk Designs & Foxys Designz!! So from now until 31st December 10pm PST just spend $10 or more (AFTER any discounts) on any Amy Matthews tubes and we will email you your free Amy Matthews bonus tube automatically during CDO business hours, you do not need to email in for it! FREE BONUS TUBE & New Packs From Ed Mironiuk! We have 2 new packs from Ed Mironiuk released today with an awesome FREE BONUS TUBE offer too!! So from now until 31st December 10pm PST just spend $10 or more (AFTER any discounts) on any Ed Mironiuk tubes and we will email you your free Ed Mironiuk bonus tube automatically during CDO business hours, you do not need to email in for it! 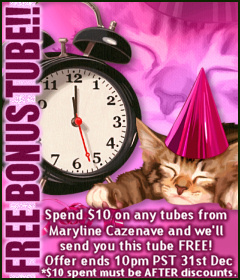 Free Bonus Tube & New Packs From Maryline Cazenave! 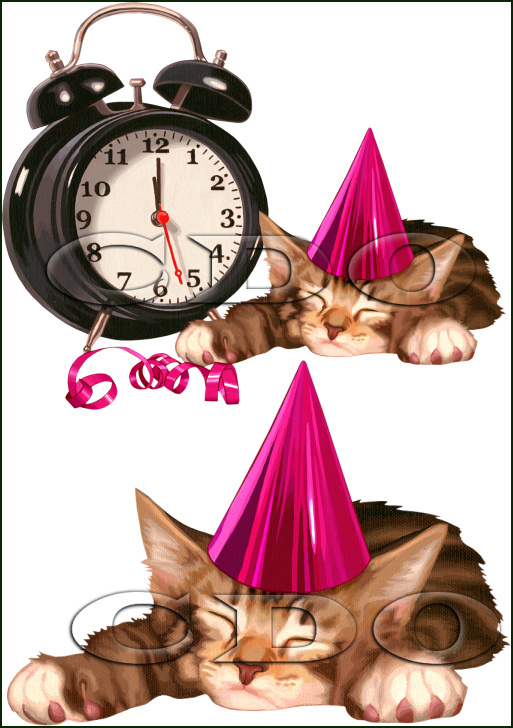 We have 2 new packs from Maryline Cazenave released today with an adorable FREE BONUS TUBE offer too!! And there’s also a matching scrap kit from Ladyhawwk Designs!! So from now until 31st December 10pm PST just spend $10 or more (AFTER any discounts) on any Maryline Cazenave tubes and we will email you your free Maryline Cazenave bonus tube automatically during CDO business hours, you do not need to email in for it! Free Bonus Tube & New Goodies From Ash Evans! We have 2 new packs from Ash Evans released today with a gorgeous FREE BONUS TUBE offer too!! And there’s also a matching scrap kit from TammyKat Dezigns – WOW!! 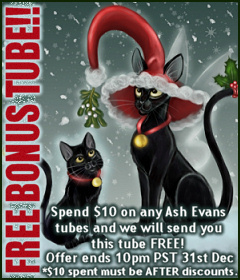 So from now until 31st December 10pm PST just spend $10 or more (AFTER any discounts) on any Ash Evans tubes and we will email you your free Ash Evans bonus tube automatically during CDO business hours, you do not need to email in for it! 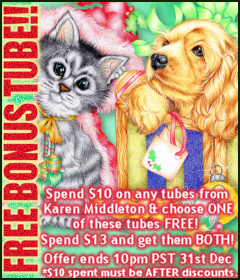 FREE BONUS TUBES & New Packs From Karen Middleton! 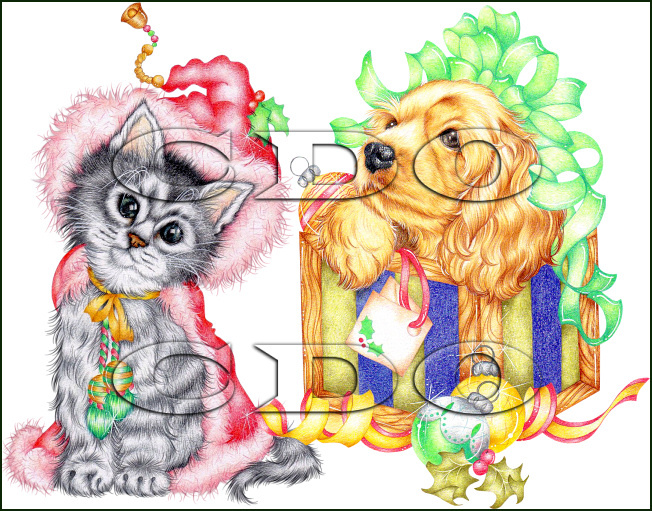 We have 2 adorable new packs from Karen Middleton released today with the choice of 2 FREE BONUS TUBES on offer too!! There’s a kitty in a Santa suit or a puppy in a Christmas box to pick from. 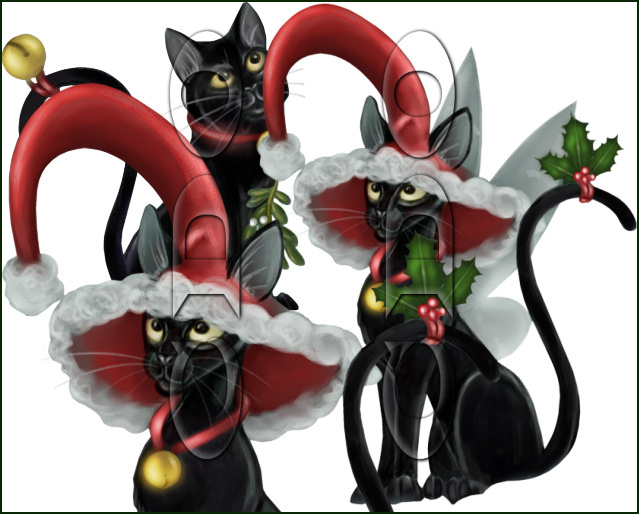 So from now until 31st December 10pm PST just spend $10 or more (AFTER any discounts) on any Karen Middleton tubes and email us your choice of kitty or puppy and we’ll send it to you. If you want BOTH tubes you only have to spend $13 (after discounts). If you spend $13 on her tubes you do not need to email in for them, they will be sent automatically during CDO business hours! Karen Middleton Bonus Tubes December 2011. Choose the kitty, the puppy or BOTH! Free Bonus Tube & New Goodies From Cuddly Rigor Mortis! 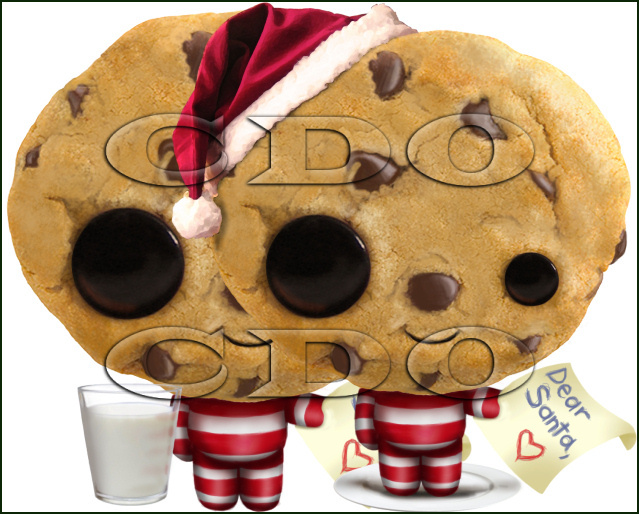 We have 2 new adorable packs from Cuddly Rigor Mortis released today with a festive FREE BONUS TUBE offer too!! And there’s also a matching scrap kit from TammyKat Dezigns!! 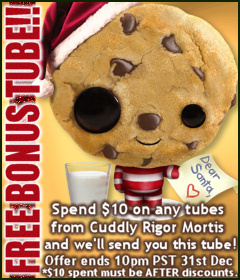 So from now until 31st December 10pm PST just spend $10 or more (AFTER any discounts) on any Cuddly Rigor Mortis tubes and we will email you your free Cuddly Rigor Mortis bonus tube automatically during CDO business hours, you do not need to email in for it!